This weekend I took BattleKid on another dragon hunting expedition, this time to Raglan Castle near Abergavenny. It’s less than 25 minutes away from our house and is a splendid castle. He has visited once before with me when he was around 7 months old, and again last summer with BattleDad. But he and I hadn’t been dragon hunting here together so it was about time we did. We had a lovely hour strolling around the castle and almost making it to the top of one of the towers before he spotted BattleDad’s car in the car park and that was it. We didn’t go any further. I took lots of pictures, as you do, and my personal favourite from our time there was this one below. Have you gotten up to any exciting adventures recently? 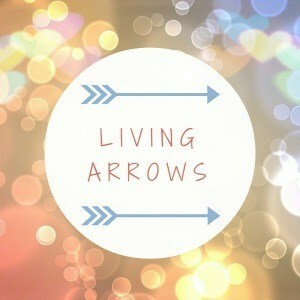 If you’d like to take part or see some other Living Arrows posts, please click the badge below. That really is a beautiful photo. Such a gorgeous face! The castle looks amazing – I love it when they are almost intact – you get such a sense of history when you look and walk around them like that! Thanks Tracy. You absolutely do when they are in good condition! I think I went to Raglan castle when I was a child. We’ve always liked wandering around castles, it feeds imagination! Of it wasn’t an event. We go dragon hunting whenever we visit castles Vicki. We bring a teddy dragon and plant it somewhere and let him find it. Makes visiting them more interesting for him. Oh I love a castle visit. The bottom photo is gorgeous! Haha thank you. We had to come up with something to entertain him at places like these. You’re more than welcome to join! Wow this looks like a great adventure. I wish I had a place like this around me. What a beautiful place to visit and the photograph is lovely. This weekend we had a couple of nice walks and were exploring new places close to home. Thanks Kerry. 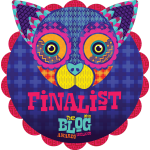 Yes just 10 mins from Abergavenny. Oh lovely. It’s great to have something to look forward to! Thanks Donna. We’re so lucky to have so many around us in Wales. You guys sounded like you had a wonderful time. Lovely photographs as well! It really is Louise. And thank you.